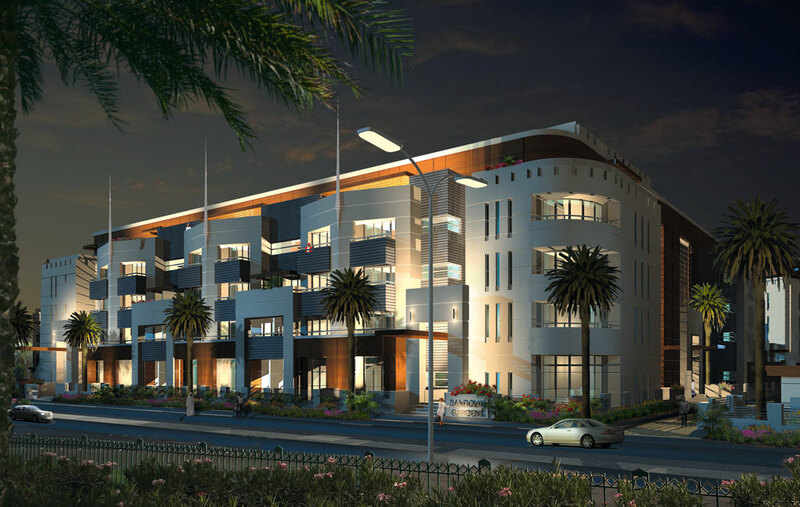 Sandoval Gardens is a self-contained, mid-market residential development of 165 apartments and 26 townhouses, situated in the southern zone of Jumeirah Village Circle near Al Khail Road. 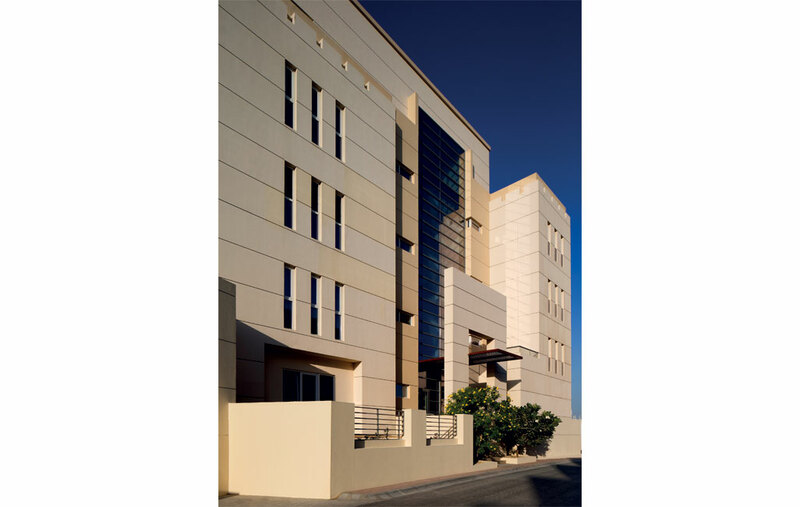 Diar Consult designed Sandoval Gardens in 2006, providing lead consultant services to private developer Bavaria Gulf LLC. Two rows of three-storey townhouses provide lively street façades on each side of a five-storey apartment building containing 64 studios, 76 one-bedroom and 15 two-bedroom apartments, and 10 two-bedroom duplex units. An exclusive and secure central courtyard helps to regulate the influences of a harsh desert climate and provides a point of cultural and social interest, incorporating a fitness centre, a swimming pool, recreation grounds, a children’s playground and games room. The design aims to break the monotony of typical apartment buildings, which can appear institutional. The geometry breaks down the scale of the development to a sensitive human level and the irregular-shaped courtyard allows for random changes in direction, and provides landscaped terraces and recreation areas that encourage interaction and foster the sense of community for the residents. In contrast, the approach to modulation of the facades is very disciplined, relying on the use of simple cost effective finishes such as laminated wood wall cladding panels which give a sense of rhythm to the facade. The contemporary architectural style has proven to be very popular and contributed to the project’s recognition by Ellis Don, a project management company, as one of the top 10 designs in Jumeirah Village.